"Minutes (of the monetary policy committee) suggest that a back-ended rate hike in 2018 remains a possibility, if headline inflation exceeds the trajectory set out by the MPC," domestic rating agency Icra said in a note. The interest rate-setting panel's deliberations point towards a "hawkish" stance in the future, which may increase the possibility of a rate hike by the Reserve Bank, analysts said today. It was also leaning towards hawkishness, which was a view shared by a majority of watchers. Japanese brokerage Nomura also called the minutes 'hawkish', which has increased the probability of rate hikes. Its American peer Morgan Stanley said the tone of the minutes was broadly similar, but deputy Governor Viral Acharya's commentary on shifting away from the accommodatory stance was the biggest surprise. "I am likely to shift decisively to vote for a beginning of 'withdrawal of accommodation' in the next MPC meeting in June. Reinforcement of inflation-targeting credibility that such a shift would signal is crucial in my view for prudent macroeconomic management," he had said. The six-member MPC headed by RBI governor Urjit Patel has an equal number of members from the central bank and independent experts from outside. Analysts at Morgan Stanley said there cannot be a rate hike just as yet, but release of the minutes revives "risk of an earlier-than-expected rate hike". It stuck to its call of a rate hike in the fourth quarter of the year, and pointed out that a stronger GDP growth may act as the trigger for an earlier rate hike. In a note, domestic brokerage Angel Broking's analysts said that none of the five members including Patel have countered RBI executive director and MPC member Michael Patra's views on inflation risks. "The argument in each of the other cases has been more towards holding rates to avoid the nascent economic recovery from being nipped. 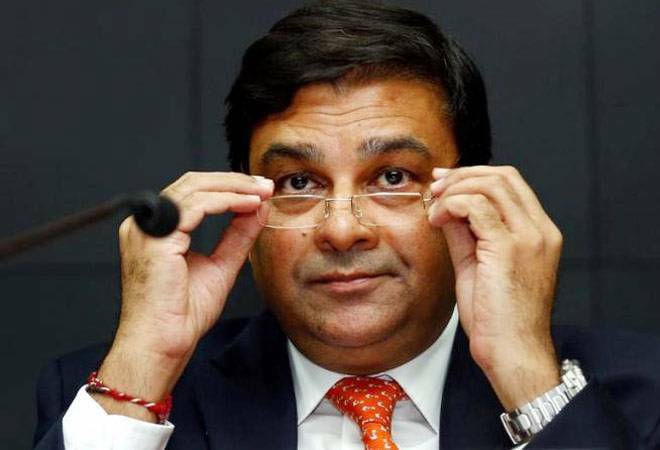 That substantially opens up the risk of a rate hike by the RBI either if the inflation gets closer to 6 per cent or if the US Fed gets more hawkish in its outlook," they said. However, analysts at American brokerage Bank of America Merrill Lynch retained their view on a rate cut in August, if the monsoons turn out to be normal. "RBI MPC minutes turned a shade hawkish with Acharya planning to vote for withdrawal of accommodation in June. We retain our call of August 1 RBI rate cut, if rains normal, with inflation peaking off," it said. Headline inflation based on Consumer Price Index (CPI) was 4.44 per cent in February. However, the March 2018 inflation was higher than 3.89 per cent recorded in the same month last year. Earlier this month, Reserve Bank had lowered its retail inflation target for the first half of the current fiscal to 4.7-5.1 per cent on sharp moderation in food price rise and the likelihood of a normal monsoon from the 5.1-5.6 per cent range projected earlier.